Horror may just be my favorite genre – I’m a long time fan of Anne Rice and Stephen King, and it’s one of the couple of genres I tend to gravitate toward. Last August, I had the pleasure of reading the first book in this series, The Girl From the Well, and found it to be one of the best YA horror novels I’d read in quite a while. When reading that book, I was disappointed that I didn’t learn more about Tark, as he was such a large part of the story. That definitely wasn’t the case this time around. This book is written in first person from Tark’s POV, so I felt as if I got to know him so much better and just really liked the guy. He’s humorous, snarky, quick-witted, and just plain sweet at times and the interactions and emotions he experiences with Okiku seem very real and natural – or as real and natural as you can be with a ghost. 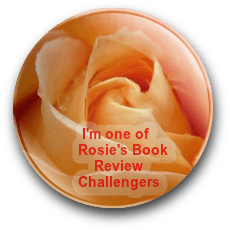 As in The Girl From the Well, Okiku has her own brand of justice and strikes terror in the hearts of her victims, but she also displays more of her human side in this book. Learning more about the Japanese culture was a pleasure, and the American film crew from a Ghost Hunters-type show lends a touch of reality to this story. 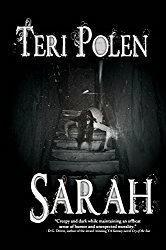 The author gives vivid, chilling descriptions of the ghosts and Tark finds himself in some terrifying, suspenseful situations. Something that didn’t mesh for me was the abrupt transition from the first few chapters of the book, with Tark in his everyday high school life continuing his ongoing search for killers, and the possibility of a love interest, to the next chapter thrusting him into the “Suicide Forest” in Japan. It almost seems like two different stories, but the ending brings it full circle somewhat. 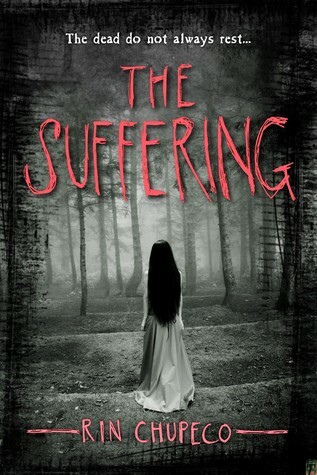 The Suffering is a complex, well-developed, unique story with amazing characterization, and a must read for horror fans. This book is scheduled for publication September 8th, 2015.